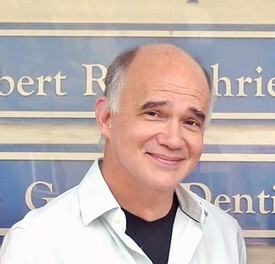 Meet The Doctor | Wadsworth, OH | Family Dentistry on the Square, Inc.
Dr. Robert Guthrie received his dental degree from The Ohio State University College of Dentistry and is a graduate of the Midwest Implant Institute. In practice since 1980, Dr. Guthrie is also a member of the United States Dental Institute for orthodontic training and a participant in the Dawson Center for Advanced Dental Study for TMJ training. He also provides services for Medina County DD/SHC. Dr. Bob and his wife Rita have been married for over 35 years. They have 3 adult children, Meghan, Richard (Megan) and David and 8 grandchildren. Help us in welcoming our new doctor, Kyle Keller D.D.S.!! Kyle was born and raised in Barberton and is no stranger to the area as most of his family lives in Wadsworth. 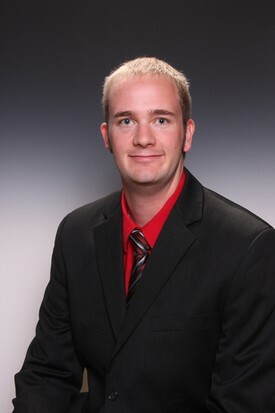 After graduating from Barberton High School in 2008, he attended The Ohio State University to obtain a Bachelor of Science in Dental Hygiene and become a Registered Dental Hygienist in 2013. After becoming a Dental Hygienist, he went on at The Ohio State University to become a Doctor of Dental Surgery, recently graduating with honors and in the top 10% of his class! In his free time, he enjoys working out and playing volleyball and soccer with his fiancé Mindy, as well as tennis, golf, basketball and bowling. Besides being active, he also enjoys getting together with family and friends for dinners and games. Some of his favorite places where you can find him around town are the Valley Café, Marie's, and Anne's Pastries, as well as the many Barberton Chicken Houses and Swenson's. He is excited to start with us and we are excited to have him! !